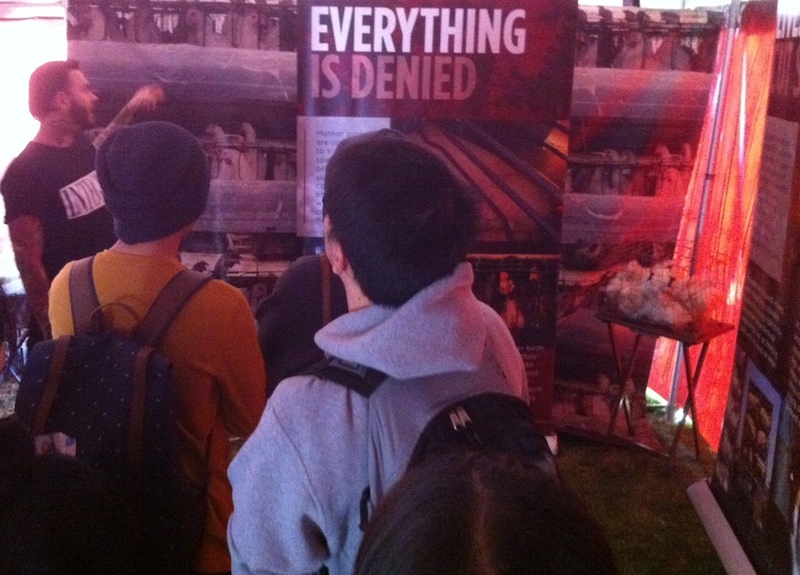 peta2, the youth division of animal rights group PETA, have brought their “factory farm” demonstration to Cal State Long Beach (CSULB), a 20-by-30-foot tent that corrals students to confined spaces while showing graphic videos of slaughterhouses. It will remain open on the campus through Wednesday. The videos, a collage known as “Glass Walls” that is narrated by Paul McCartney, are shown to students in the hopes of shocking them into converting to vegetarian or veganism. 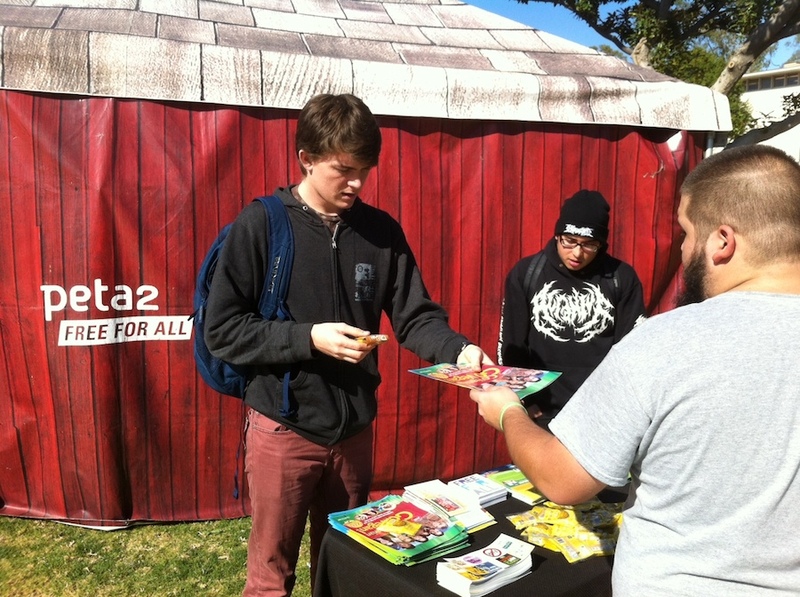 The last time peta2 set up the factory farm tent on campus was October of last year. Student reactions to the demonstration’s presence were mixed, though the vast majority did find the video disturbing. However, not all students were convinced and expressed outright disdain over the tactics used by PETA. While Spiese noted that there are two preschools on campus and expressed a fear of exposing too impressionable of eyes to disturbing images, student Cristina Robinson seemed to be more middle of the road: though graphic, these videos provide insight to how animals are treated. A self-described vegetarian, she noted that the vegan lifestyle is difficult because she can’t afford to provide herself with enough nutrients should she entirely avoid animal products. This, however, doesn’t mean she—nor Matthews, not even Spiese and other meat-eaters—doesn’t want to see more vegan options on campus.